SELLERS HAVE SLASHED THE PRICE and OFFER IMMEDIATE OCCUPANCY of This lovely Jonesville home is located on a corner lot, at the entrance to Lang's subdivision. It is a great place for a family. Parks, dining, entertainment and the awesome Jonesville schools are just a stone's throw away. 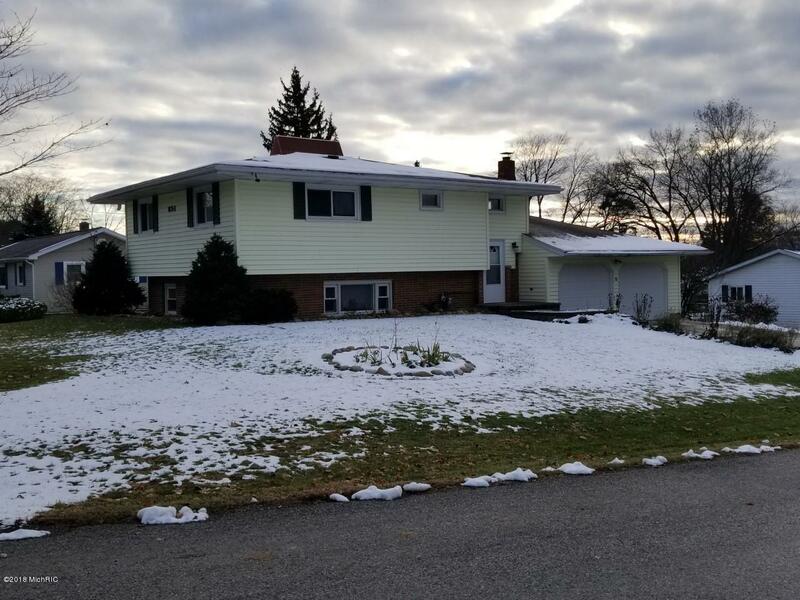 This 3 bed/2 bath bilevel home has had updates, including a brand new bath/laundry room, a tankless hot water heater, completely refinished hard wood floors and new paint throughout. With an abundance of cabinets all having pull out shelves and counter space galore , it's a chefs dream. All appliances stay with the home and the seller is offering a full 1 year home warranty. Enjoy the comfort of hot water heat, without the dust of forced air. These sellers are meticulous about their home. Hearty red raspberry bushes line the west side of the garage, producing enormous berries every year. Utilities are low in this well insulated home. Come and see. Make the WRIGHT move today!